Hi Santia, thanks for taking the time to talk to us. For those that may not know too much about you, can you give us a bit of background on your sports background and how you got into Flag Football? I am a track and field athlete, I’ve been running track since I was 7 years old and officially stopped about two years ago. I also played tennis, basketball, and soccer as well, but track is what captured my heart and got me a full ride to Texas A&M. I got into football when I was looking for extra activities to add to my schedule and ended up playing with a local team and from there it has been nothing but up. 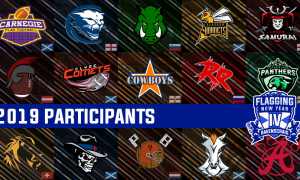 I got invited to play for the LFL, I was offered an opportunity to play for the USA Rugby team, and I was offered a chance to play flag football overseas. Although we cover the flag world, we are very interested in the Legends football league that you participate in. Can you tell our audience a little more about it? It was formally known as the “lingerie league” but it is now called the “Legends football league”. 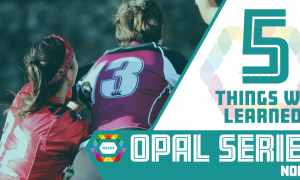 It’s a women’s tackle league and there are only a select few teams in the U.S and it has now expanded overseas . How long have you been involved with Flag and LFL? I’ve played flag for almost 3 years and tackle for 1. Do you get much time to play flag football? If so, who do you play for and where? Yes, I play flag football for the AWFFL league in Atlanta , and its an all women’s league. What variations of Flag do you play? I play contact 8 v 8. 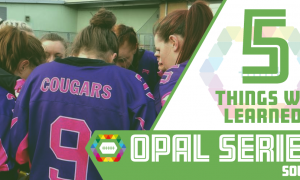 We understand you got injured early on in the LFL season, how did you deal with that disappointment. How is the recovery going? It was very tough for me to deal with injury because I wasn’t able to finish the season out. I made a full recovery fortunately and I’m back training and playing flag football now. With your track background are you a natural receiver or is there more than one position you specialise in? I am actually a natural RB, I just recently started playing receiver. 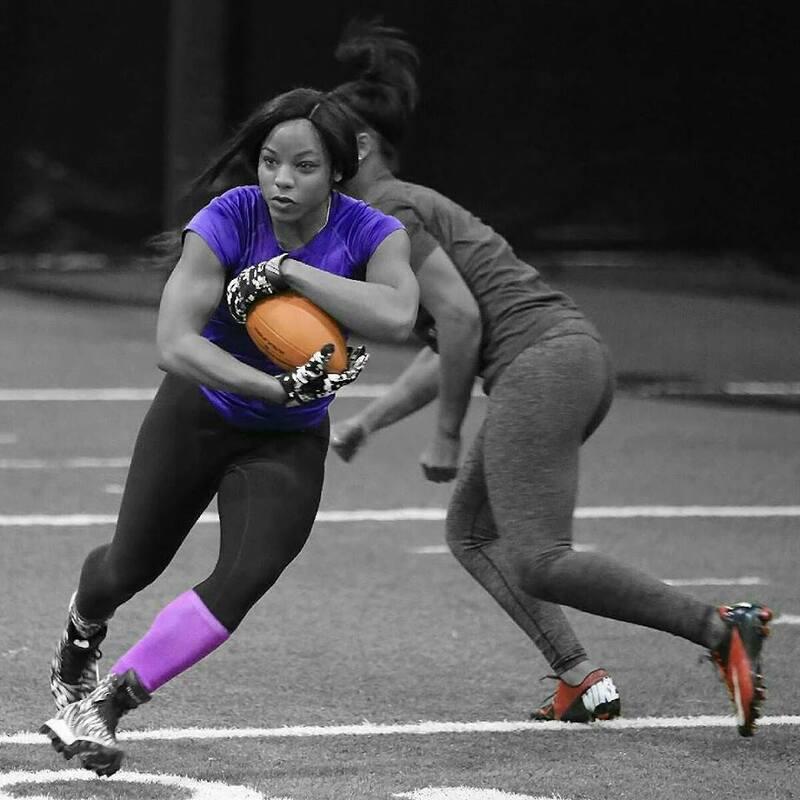 How big is women’s flag football in the US? Flag is pretty huge here in the U.S and it is constantly growing. You were involved in track which obviously transfers well to LFL and Flag. What edge do you feel that gives you for the sport? Running track has made me unstoppable on the football field to be honest. I’ve been able to develop amazing footwork which has made me unique due to most girls not training the way I do. Do you have any advice for female players who are interested in improving their game and/or fitness? Definitely find a football trainer to train with or if you have a boyfriend or male friend that is a football player or former, definitely ask them to show you the ropes. Although you are multi-talented, you are mostly known for your successful Queen of Abs brand. How did that come about? I developed my brand while still in college but it didn’t take off till I graduated. My mother helped me create a fitness DVD the day after I graduated as well as a fitness talk show. So, to be honest my mom has been the driving force of my brand because she has helped me get many deals and opportunities. We understand this has also spawned a TV show? Can you tell us about it? My talk show is called “Queen Of Abs Fitness” and I bring fitness trainers, fitness business owners, athletes, individuals with amazing fitness stories, etc.. and I interview them and give them a 10 minute segment to promote themselves. It is available on Npowered network in Detroit. We noticed you have recently appeared in Steve Austin’s Broken Skull Challenge, What does it entail what made you enter the show? They actually found me through Instagram and put me through an interview phase. It is a competition show that entails us going through obstacle courses and different physical competitions, the winner takes home a money prize. It was hard but great fun, unfortunately I never won! Last question, but we notice you wear 2 odd socks when competing, is that superstition? Or are you like us and can never match up your socks after washing them? Lol, the mix match socks is actually a branding thing. I started wearing my socks like that on accident when I was rushing to a track meet and from then on out I haven’t matched my socks since. A lot of people started noticing it and even started to do it as well so I began to make it my trademark . With a fast 2017 coming to an end, what are your plans and goals for 2018? I have soo many things that I am in the works of doing that I unfortunately cannot discuss. But I will be going to the nationals tournament for flag football and I will be making a few more TV appearances as well. I will also be launching my sock in apparel line next year so be on the lookout !! Thanks to Santia for taking the time to talk to us, if you would like to keep up with Santia you can follow her Instagram or webpage.